THE LINDA RONSTADT - FRIDAY MUSIC 180 GRAM VINYL SERIES CONTINUES! FEATURES HER GRAMMY NOMINATED SMASH HIT "HOW DO I MAKE YOU" plus "HURTS SO BAD" "GIRLS TALK" & " I CAN'T LET GO"
Linda Ronstadt is truly a worldwide gift to all forms of popular music everywhere. She continues to be a superstar who inspires generations of music lovers with the many fine recordings she has made over the years. 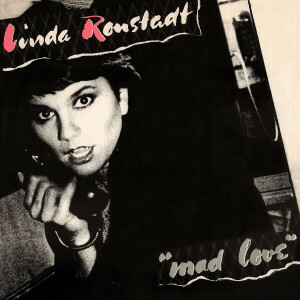 After her stellar run of hit singles and albums throughout the 70's, Linda got together with a super group of renowned musicians and created her pop and new wave masterpiece Mad Love. The 1980 classic featured some of her most revered songs like her top chart Grammy nominated hit of How Do I Make You along with more hit singles like her stellar interpretation of Little Anthony's Hurt So Bad and the Dave Edmund's -Elvis Costello classic Girls Talk. Her rockin' side is showcased on the rockin' Hollies classic I Can't Let Go, plus further rock readings of the Neil Young's Look Out For My Love and her early championing of Elvis Costello's early catalog with the soulful balladry of Party Girl. Friday Music is no stranger to the music of the legendary Linda Ronstadt. Therefore, we are so very pleased to announce another fine installment in The Linda Ronstadt / Friday Music 180 Gram Audiophile Vinyl Series with her legendary masterpiece Mad Love. Mastered impeccably from the Asylum Records tapes by Joe Reagoso (Linda Ronstadt/James Taylor/Carly Simon), Mad Love will truly become one of the most important revisits to this superstar's amazing album catalog in quite some time. For a limited time only, we are further enhancing your Linda Ronstadt listening enjoyment with a first time striking 180 Gram Audiophile Pink Vinyl pressing, featuring the long out of print Lp sized album cover graphics not seen since its original 1980 release. Stay tuned for more great Linda Ronstadt 180 Gram Audiophile Vinyl from your friends at Friday Music.